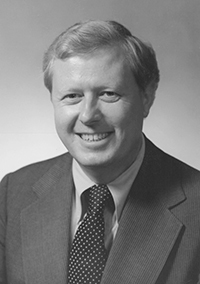 William T. Prince, former president of the Virginia State Bar, died on Monday, December 15, 2014. Mr. Prince was born Oct. 3, 1929. He was a graduate of the College of William and Mary and in 1957 of the Marshall-Wythe School of Law at the college. He also received a Masters of Law and Taxation degree from the law school in 1959. He taught accounting at William & Mary and later taught at the law school in 1957-59. He was a member of the Norfolk and Portsmouth, Virginia, and American Bar Associations, the Virginia Association of Defense Attorneys, the Virginia Trial lawyers Association, and the National Association of Railroad Trial Counsel. He was a member of the board of editors of the first edition of The Virginia Lawyer, published in 1966. Judge Prince took office as president of the VSB at the 40th annual meeting in 1978 when the bar had 13,500 members. The Virginian-Pilot reports that he was a member of the firm Williams Kelly and Greer from 1963 to 1990. He was appointed a United States Magistrate Judge in 1990, serving until his retirement in October 2014. The Pilot noted that he had many activities that he loved. He was a dedicated fan of the Norfolk Tides baseball club and season ticket holder from opening day at Met Park in 1969 to the 2014 season at Harbor Park, with the same seats located behind the first base dugout. He also loved his annual visits to Vermont, from the early family vacations in 1972 to his last trip in 2012. Later in his life, he announced that he would begin traveling the world by freighter ship as a solo traveler, eventually circumnavigating the globe at the age of 78. He is survived by his wife, Anne Hannegan Prince; six children, Sarah P. Pishko and husband Bernard, of Norfolk, Emily T. Prince of Somerville, MA, William T. Prince Jr. and wife Amy, of Virginia Beach, John H. Prince and wife Carrie, of Norfolk, Anne P. Thompson and husband Scott, of Dorset, VT, Robert H. Prince and wife Cary, of McLean. He is also survived by fifteen grandchildren: Brian Pishko of The Hague, The Netherlands, Laura Pishko of Richmond, and Anne Pishko of Norfolk; Charles Prince, Hannah Prince, Sydney Moreland, and Carson Moreland of Virginia Beach; William Prince and Matthew Prince of Norfolk; Ned Thompson, May Thompson, George Thompson, and Beatrice Thompson of Dorset, VT; and Holly Prince and Henry Prince of McLean. A Mass of the Resurrection will be celebrated at 11 a.m. Saturday at Sacred Heart Catholic Church in Norfolk by his great-nephew the Rev. Sean M. Prince. A Christian wake service will be held at Sacred Heart Friday at 7 p.m.
Photo of William T. Prince by Auffenger Studios, Norfolk, VA, 1978.